Tony Oliva on the Minnesota career home run list. Well, it happened, after all. 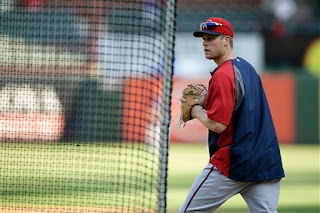 Justin Morneau -- 2006 MVP, franchise cornerstone and part-time Lake Crystal resident -- was traded Saturday to Pittsburgh for a reserve outfielder (Alex Presley) and a player to be named. I'll write in more detail about the trade for the Monday print column. For now, I'll just acknowledge mixed feelings about this deal. The sentimentalist in me, and it's a bigger part of my personality than I care to admit, wanted Morneau to spend his entire career in a Twins uniform. The realist in me recognizes that Morneau is not the hitter he was before the concussions and other injuries and is certain that the next good Twins team will not have Morneau as a key player. I'm saddened by his departure. I recognize its inevitability, its necessity, even its virtue. And I hope he helps Pittsburgh win the World Series. I really thought Friday that Yu Darvish was going to get his no-hitter against the Twins. Through six innings, Darvish appeared literally unhittable — it's truly astounding to see a major league hitter like Trevor Plouffe miss a pitch by that much. And then, in the seventh, a walk and boom, boom — Chris Herrmann and Justin Morneau go deep, and the unhittable is hit. Former Twin Jason Kubel, designated for assignment earlier in the week by Arizona, wound up with the Cleveland Indians. And Josh Willingham remains with the Twins. I didn't really see the Twins claiming Kubel; their outfield shortage, even with Wilkin Ramirez out the rest of the way after fracturing his tibia, is center-field specific. At no point in his career was Kubel ever a center field option. And I never viewed the Twins as a motivated seller on Willingham. The Orioles, who are reported to have won the claim on the Hammer, instead swung a deal for Mike Morse, another right-handed slugger with defensive issues. 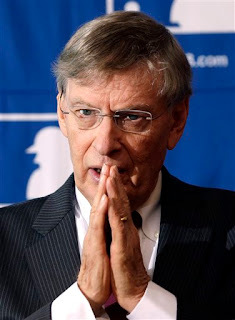 Unlike Willingham, Morse is a free agent after the season, so the O's aren't financially committed past next month. 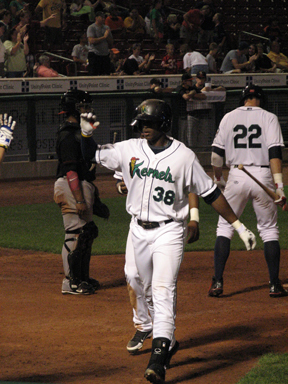 Miguel Sano crushes a double in the seventh inning Friday. I caught part of a Terry Ryan radio interview late Friday morning. 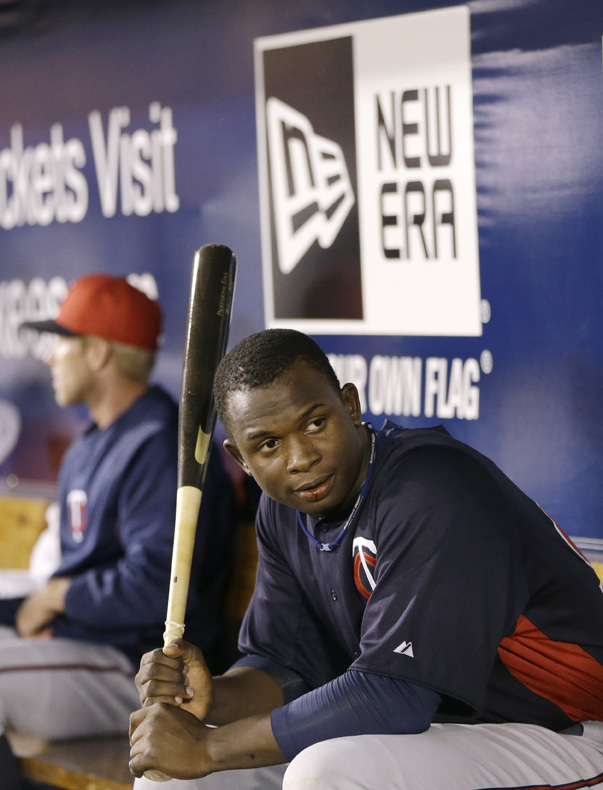 One of the topics was why mega prospect Miguel Sano won't get a September callup. Ryan talked a little about the 40-man roster implications of such a move, then said something curious: Sano, he claimed, is struggling in Double A. If only the Twins hitters were as deeply mired in woe as Sano and his .890 OPS with New Britain. I don't want to be too sarcastic here. I accept Ryan's belief that Sano isn't ready for the majors right now, and I understand why Ryan wishes to avoid unnecessarily tying up a 40-man roster spot this winter. 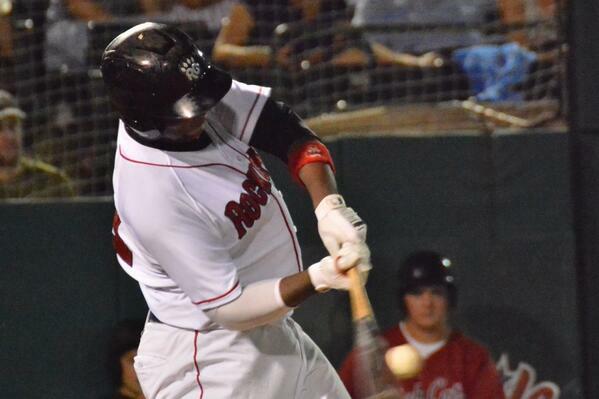 Sano's batting average with New Britain is under .240. 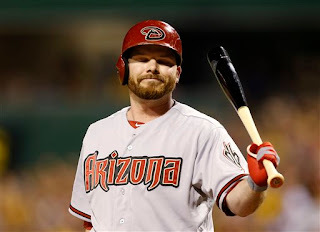 The OPS is driven by his extra-base hits (33 of 'em, including 17 homers, in 260 plate appearances) and his walks (35). The stat line shows a lot of errors and a lot of strikeouts. For the record, Sano on Friday hit a pair of home runs and a double. He'll get to the majors soon enough. is much improved over 2012. Sam Deduno was pulled from Thursday's game after three innings. It was the second time in two weeks that he had complaints of shoulder soreness, so I rather expect the Twins will shut him down for September. (Update: The Twins this morning put both Deduno and Wilkin Ramirez on the disabled list and recalled Pedro Hernandez and Darin Mastroianni). Season 1: The WBC. 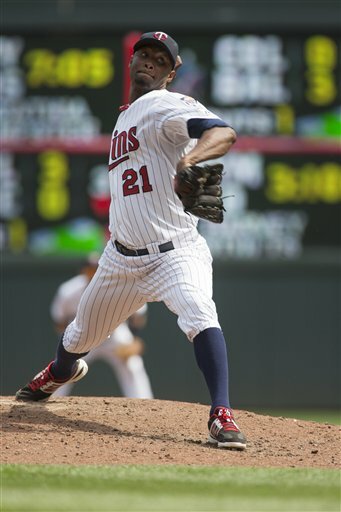 Deduno was a non-roster invitee to Twins camp and left early as a belated addition to the Dominican Republic pitching staff for the World Baseball Classic. I doubt anybody connected with the Twins expected Deduno to be the anchor man of the Dominican rotation. He went 3-0 and started the championship game for D.R. He wasn't perfect in the WBC, but the event was a better platform for his rotation candidacy than the Grapefruit League would have been. Had he remained in Fort Myers, he might not have gotten enough work to win a spot. As it was, the WBC resume was strong enough that Deduno might even have gotten the Opening Day assignment, except that he returned to the Twins with a strained groin. Season 2: Disabled list and minors. 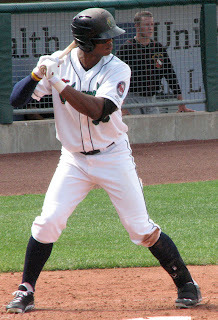 Deduno sat out April to let the groin heal, then made three starts in May for Rochester. He had a 2.70 ERA in those starts, and the Twins brought him back to Minnesota before the month ended. Season 4: The August slump. The next five starts (including Thursday's) didn't go so well: 1-4, 5.96. Oddly, the walk/strikeout ratios were much better in this stretch (8 BB, 20K); but the BABIP -- batting average, balls in play -- went up about 90 points and the home run rate went from one long ball every 20 innings to one every six innings. Season 5: The presumed shutdown. This is hardly official, but likely. We don't know if there's damage that will require surgery or if rest and rehab will fix the shoulder, but either way, I don't expect to see Deduno again this year. If he's done, he's done with an 8-8, 3.83 season in 108 innings over 18 starts — six innings a start. And if the coming medical exams (LaVelle Neal of the Star Tribune predicted Deduno will have a MRI done) lead to surgery, it's entirely possible that the Twins will again remove him from the 40-man roster. Shoulders are tricky things to cut on. The last time the Twins put up a crooked number -- meaning they scored more than one run in an inning -- was in the seventh inning last Friday, 38 innings ago. They scored two runs in that frame. Obviously the starting pitching this year has not been good enough for the Twins to contend. But the offense has been just as bad. And since we knew coming in that the starting pitching was questionable, the offense is truly the larger disappointment. They just don't have enough Joe Mauers to make this lineup work. Right now, of course, they don't have any Joe Mauers. And it shows. five home runs. Last year he bopped 30 long balls. 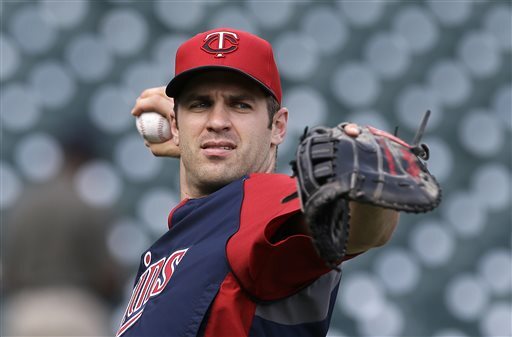 Former Twin Jason Kubel was designated for assignment Tuesday by the Arizona Diamondbacks. Kubel hit 30 homers for the D-backs last year, the first year of his two-year contract, but this year was hampered by back and quad problems. He'd lost his starting job and leaves Arizona hitting a mere .220/.288/.324, a far cry from his career slash numbers (.265/.330/.456). But Kubel's production really started its sudden dissolution last season. He entered last August hitting .290 with 22 home runs; in August he hit .159, in September he hit .186. And he never got going at any point this year. He's 31. There ought to be some juice left in his bat. But if he's physically not able to show it in what remains of the 2013 season -- and that the D-backs are willing to dump him now suggests he's not -- it may be difficult for him to find a major league contract for 2014. The reports late Wednesday had the Baltimore Orioles winning the waiver claim on Josh Willingham. The Twins and O's have until Friday to work out a deal; if they fail, Willingham stays with Minnesota the rest of the season. My guess is no deal. The Twins have no obvious need to move Willingham now; he's under contract for next season, and his value is probably at a low point, since he, like Kubel, has had a injury-plagued season that hasn't been up to his established standard. The Twins this week released minor league veteran relievers Luis Perdomo and Tim Wood. Perdomo got some major league action with the Twins last year, showing velocity without command. Which is pretty much what he's always had. 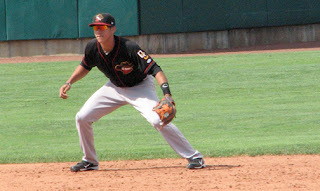 Wood was signed as a minor league free agent after an impressive season in Triple A with the Pirates organization, despite which the Pirates never called him up. Wood spent most of the year on the shelf with arm troubles. He occupied a 40-man roster spot all year and never really came close to landing a 25-man slot. Releasing him opens a 40-man roster spot if the Twins want to give a September call-up to somebody not now on the 40.
play in the Arizona Fall League this year. Any news involving Byron Buxton gets my attention, and so the announcement Tuesday that he will be among the seven Twins farmhands playing for the Glendale Desert Dogs in the Arizona Fall League caught my attention. The MLB.com piece on the league rosters leads with Buxton, the consensus top prospect in the game. It also deems the AFL to be at a level between Double A and Triple A. If so, that means Buxton, currently ripping it up in high A ball, is again being challenged -- which figures. He should be on the fast track. But if he's being challenged with this assignment, what about Max Kepler, who missed the first half of the season with injury and has been somewhat less than dominant in low A? He too is going to the AFL. He's a good prospect, and he has some time to make up, but this is much faster company than he's used to. this year in Double A. 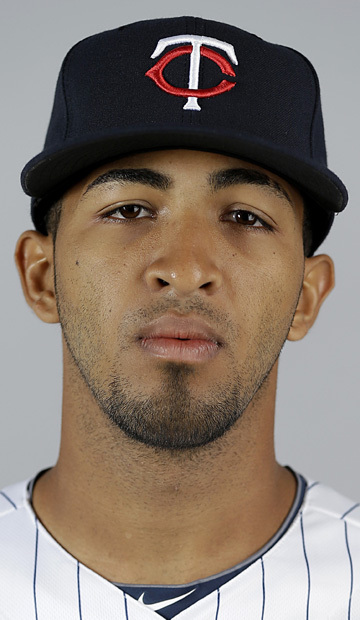 Also on the roster: Eddie Rosario. Latin players aren't often assigned to the AFL; they more often play winter ball in their homeland (as will be the case with Miguel Sano in the Dominican). Rosario starred last winter in the Puerto Rican winter league. But he was also playing mostly outfield, and the Twins have had him playing second base. It may be that this assignment is rooted in the master plan of Rosario at the keystone. Then there's the pitchers. 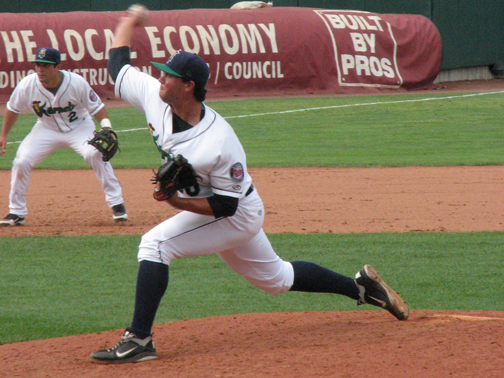 The AFL teams are formed out of five different organizations, and typically each team sends one starting pitcher. 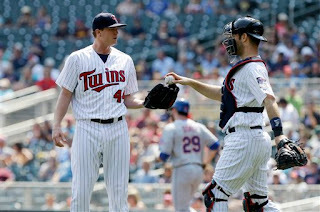 The Twins are sending two starters: Alex Meyer, who missed much of the summer with a shoulder strain, and Trevor May. Meyer has innings to make up, so sending him is no surprise; May, on the other hand, is on his way to a 150-inning season. They are two of the organization's more prominent pitching prospects, and they're at an advanced level. The Twins would dearly love to see one of them emerge for next year's rotation. Buxton, Meyer, Rosario, May and Kepler were all generally rated among the organization's top 10 prospects coming into 2013. The Twins are also sending a pair of relievers, Zach Jones and A.J. Achter, each of whom have had strong seasons. 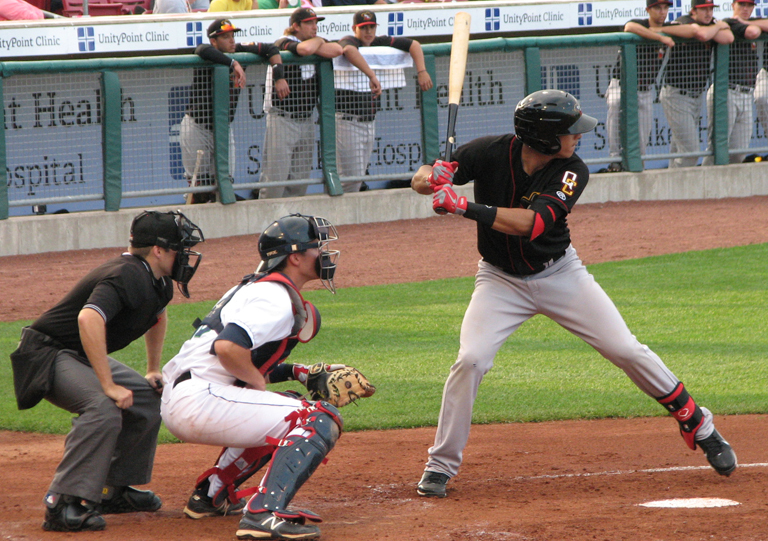 (Achter has split the 2013 season between Double A and Triple A; Jones has been in high A.) As relievers, neither is ever likely to be prominent on prospect lists, but they are legit major-league possibilities. that went sour on him. I was trying Monday to puzzle out who the Twins might bring up when the rosters expand next month when my eye fell on Aaron Hicks' stat line since his demotion to Triple A Rochester at the the start of August. This is looking like a worst-case scenario. The argument against pushing a prospect up the ladder is that exposing the player to a more difficult level prematurely can be damaging. That Hicks was pushed up the ladder this spring is undeniable. I cannot criticize the Twins for doing so; I would have been vocally disappointed had he opened 2013 in Triple A. He had played very well in Double A in 2012 and he had clearly outplayed his competition for the center field job in spring training. But bringing Hicks from Double A to the majors clearly did not work for him, and this belated month in Triple A isn't going any better. Where do the Twins, and Hicks, go from here? A September return, which I figured was a given when the Twins demoted him, seems pointless now. Giving him some time away from the field is probably the better idea. Then a stint in winter ball seems likely. There's still time to salvage Hicks. He has two option seasons left. He's only 23 (turns 24 in October). He had several impressive moments in the majors; the talent to be a good major league player is there. But certainly the Twins cannot have him prominent in their plans for 2014. Nor has Clete Thomas cemented his place on the roster, much less the lineup. Which all adds up to this: The Twins are likely this winter to look for a more established center fielder who would be an upgrade on what they've gotten out of the position in 2013 but is not going to be a roadblock on Buxton. If Buxton is Mike Trout 2.0, he'll be playing center field in Minnesota by July. Who's on first next year? after being called out on strikes. The Monday print column expanded a bit on a post from last week about Joe Mauer and the possibility that his current concussion will hasten a position change for the Twins star. But let's say Mauer remains the Twins primary catcher. 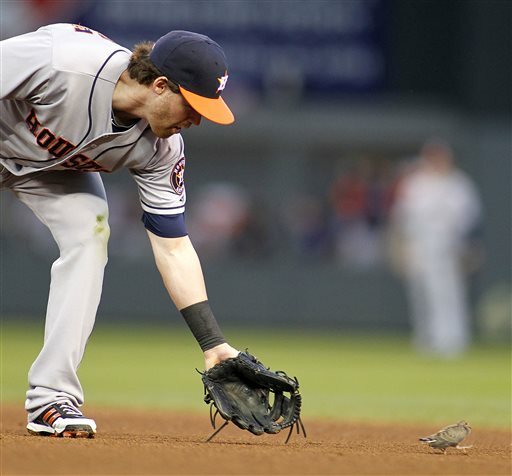 What are the first base options for 2014? 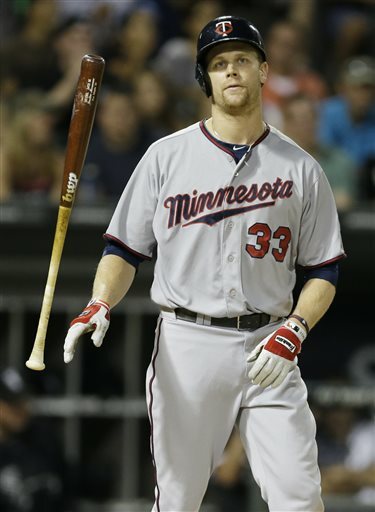 Justin Morneau will be a free agent this winter. For all the trade speculation that surrounded the former MVP this summer, there really appears to have been limited interest in him elsewhere. He's no longer a franchise centerpiece and doesn't belong in the middle of the order anymore, but ... he's probably more valuable to the Twins than he is to anybody else, he's put down roots in Minnesota, and the rise of the likes of Miguel Sano, Oswaldo Arcia, Eddie Rosario and Byron Buxton means the Twins may, as early as the middle of 2014, be in a position to move Morneau to a place in the bottom half of the lineup. Current take: I'd say it's at least 50-50 that Morneau is the Twins first baseman next year. Chris Parmelee, long the heir apparent at first base, was the regular right fielder early on but didn't hit. He was optioned out at the All-Star break, a move that surprised me more than it probably should have, and ... he hasn't hit in Rochester either (.225/.331/.355). It's the dismal slugging percentage that is most alarming. I really expected him to grab Triple A by the throat, as he did in 2012. That didn't happen. Current take: I think Parmelee is out of options after this season. He may not get a September call-up. He certainly can't be prominent in the front office's plans for 2014. Chris Colabello has bounced up and down between Minnesota and Rochester in the second half. The minor league veteran has dominated the International League but has been highly strikeout-prone in limited major-league at-bats. Current take: I have difficulty imagining the Twins committing this offseason to Colabello as a regular. He has a better shot than Parmelee, but his best chance is as an injury replacement. Jose Abreu is an intriguing notion, and probably the free agent first baseman with the most potential to pay off. He's a Cuban defector, 26, who has been a masher in the top league on the island. He's establishing residency in Haiti and his immigration status is far from settled, but the speculation is that someone will offer him a six-year, $60 million deal to play in the United States when he's cleared. Current take: The Twins don't have a track record of pursuing big-bucks free agents, and they don't appear often in the "informed speculation" around Abreu. That kind of talk has focused on the likes of Texas, Boston and the Mets. But few thought Oakland would land Yoenis Cepedes, and few connected Cincinnati with Aroldis Chapman; the big-market teams haven't often splurged on the Cubans. The Twins have the budget room to make a $10 million-a-year commitment (especially with Morneau coming off the books); it's far from certain they have the gambler's mentality the move would take. All of this hinges on Mauer. If he and the Twins want to keep him as a primary catcher, first base is there to be filled. If it's deemed time to move him, first base is his most likely destination, and everybody else is out of luck. a home run Tuesday in Detroit. Let's be kind and assume Pedro Florimon was indulging in a bit of self-mockery here. Yes, the Minnesota shortstop does now have eight home runs on the season. He has an outside shot at being the eighth player on the roster to reach double-digits in home runs. He was also hitting a weak .220/.279/.338 coming into Saturday's game. Adam Brett Walker at the plate. 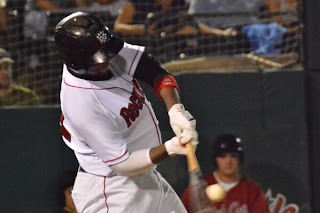 By the Triple Crown stats, Adam Brett Walker is having a very good season in low-A Cedar Rapids: .284 batting average, 26 home runs, 106 RBIs. But it's pretty clear this late in the minor league season that the 2012 third-round pick isn't going to move up a level this year. His two outfield mates in the first half of the Midwest League season, Byron Buxton and J.D. Williams, are in Fort Myers now; Walker is still in Iowa. Boiled down: Big time power, dubious hit tool. Walker is a great mistake hitter. ... For me, he's still a slow-twitch guy. The jump to the Florida State League is where it comes out ... I don't know if he can catch up to good fastballs. He can hit the cripples, no doubt. He hits them a long ways. The story also tells of a massive slump Walker had in 2011 while playing in the heavily scouted Cape Cod League: 45 at-bats in which he hit .089/.180/.156 with 23 strikeouts. That month left many scouts soured on the idea that he'd make contact often enough to let his power play. Power is the most important tool in the box for an outfielder, and Walker has that. A walk-strikeout ratio of 27 walks, 109 strikeouts underlines the question about his ability to put the barrel on the ball consistently enough. At best, he's on a slower track than Buxton or Miguel Sano. Clete Thomas makes a diving catch in Wednesday's game. This is one of those things that happen in baseball: The Twins — not a good team — won this week's series against the Detroit Tigers, who merely have the best record in the American League. And they won the series while playing regularly two outfielders — Clete Thomas and Wilkin Ramirez — who were developed, tested and discarded by the Tigers. In this series, Thomas was just 2-for-12 at the plate, but he did make several diving catches and cut down Prince Fielder, whose baserunning on that play Thursday probably cost the Tigers a run they could have used. Thomas, 29, is getting his first sustained major league action since 2009, and his .224/.295/.332 slash line does not suggest that the Tigers erred in deciding they could do better without him. Nor has Thomas really established that he's better than the demoted (and currently hobbled) Aaron Hicks (.192/259/.338). Ramirez, 27, made the opening roster as a bench bat but missed the majority of the season after sustaining a concussion on a play that signified the silliness of considering him a usable center fielder. He's hit better than Thomas (.279/.317/.382), but not in enough playing time to be significant (less than 100 plate appearances). He went 4-for-12 in the Detroit series with a double. The Twins clearly have outfield questions to deal with during the offseason. I don't see either Thomas or Ramirez being serious answers to any of those questions. Joe Mauer is primarily a catcher — but for how much longer? It has been a topic of discussion practically since Joe Mauer reached the major leagues: How long will he remain a catcher? Catchers — particularly catchers who are outstanding hitters — tend to have short careers. For every Yogi Berra or Pudge Fisk there's a Johnny Bench or Ted Simmons, essentially burned to a crisp by their early 30s. Not only were Bench's and Simmons' abilities at the plate ground away by their early 30s by the strain of catching, their ability to simply play the position on a regular basis was gone too. Mauer is 30 now. While he hasn't carried the workload in his 20s that many of the catching greats before him have -- he has only once caught as many as 120 games in a season -- he is fast approaching the age where the position historically catches up to the best. And this week we all got a sharp reminder of why catcher is the most physically punishing position in the game, when Mauer went on the concussion disabled list. Mauer has now missed two games, and nobody really has any idea if he'll be back in a week or if he's done for the year. Brain injuries are not easily diagnosed or treated. 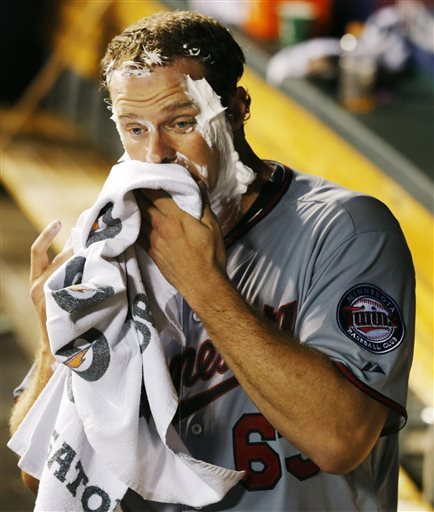 Twins fans learned that lesson with Justin Morneau. Pat Reusse offered two predictions Tuesday in a Star Tribune blog post on catchers and concussions, one specific to Mauer and the other general. Mauer, he said, will be a first baseman in 2014 and leave catching behind. And teams, he said, will stop allowing good hitters to put themselves at risk behind the plate. A hitter as talented as Mauer will be moved, quickly, to a less hazardous position. Catcher will become the domain of defensive specialists who hit at the bottom of the order. Prediction No. 1 may indeed prove true — if. If Mauer's out for an extended period, that could scare him, and the front office, into making the switch. Doing that would prompt the Twins to decline re-signing Morneau (a free agent after the season), which is a decision they might reach regardless. It would probably keep them out of the bidding for Cuban defector Jose Abreu, which they may or may not enter. It would force them to either hasten the arrival of prospect Josmil Pinto next season or get by with the combo of Ryan Doumit and Chris Herrmann. None of those side effects would necessarily be deal breakers if the team and the player decide a position shift is in their best interests. Prediction No. 2 is moot. That's what catcher is — a position of defensive specialists who hit at the bottom of the order. Joe Mauer is the exception to the rule. And the truth is that teams with a Mauer-caliber hitter behind the dish tend to be really good, because that kind of hitter at a defense-first position is so rare. Make a list of the greatest teams of all time, and almost all will have a Hall of Fame caliber catcher. (The '27 Yankees are the exception.) The Reds of the 1970s had Bench. The Yankees of the 1930s had Bill Dickey. The Yankees of the 1950s had Berra. The Dodgers of the 1950s had Roy Campanella. The Athletics of the early 1930s had Mickey Cochrane. The Yankees of the late 1990s had Jorge Posada. That kind of advantage is a powerful incentive to let a quality hitter who is also a quality receiver stay at catcher. The Twins have wasted a few years of Mauer's catching prime by surrounding him with inadequate talent. One has to wonder now how much of his prime will be left when the Miguel Sano/Byron Buxton wave takes hold. The equation hasn't changed. Mauer is more valuable as a catcher than as a first baseman. But he's more valuable as a first baseman than on the shelf. And now that he's in his thirties, that second sentence is gaining importance. The Twins on Tuesday had a problem: Players hiding their hurts from the manager and trainers. The most prominent case was Joe Mauer. The franchise player had an obviously painful day behind the plate on Monday — Ron Gardenhire said early Tuesday that Mauer would not catch any of the three games in Detroit — but when he was missing grounders at first base during batting practice, old buddy and veteran of concussions Justin Morneau urged him to get checked. The result: Mauer was pulled from the lineup and put on the concussion list. This is the second time this month that a Twins catcher has been sidelined by a brain injury. Ryan Doumit was out for eight days or so. 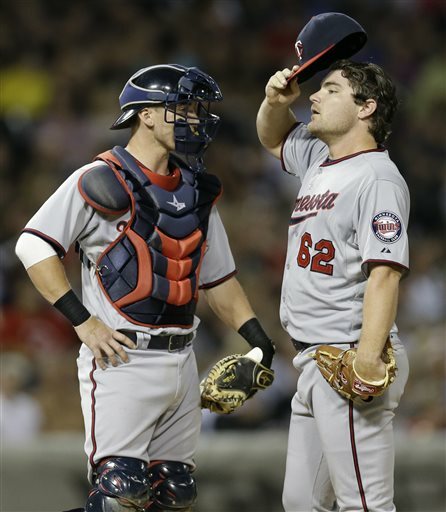 Unlike Mauer, he tried to catch and finally reported his problems in the course of a game. That followed an admittedly difficult flight (flying and concussions are apparently a bad mix). By Mauer's account, he had no problems with the flight on Monday. Let's consider what the Twins knew Tuesday. 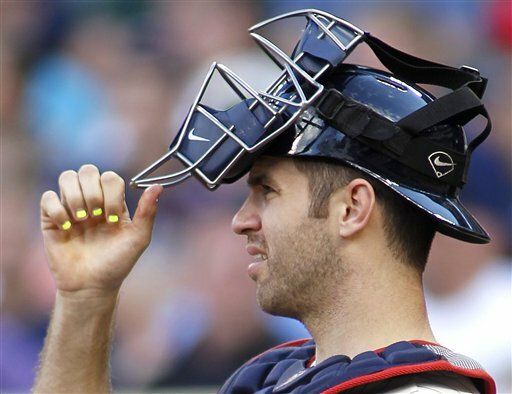 They knew Mauer had taken some foul tips to the face mask and helmet on Monday, including one off the bat of Ike Davis that caromed some distance and drew comment from the radio crew. They knew Mauer had a bruise on his forehead. They knew enough that they were going to avoid having him catch for several days. They also knew that he said he had no issues on the flight; if they read the Pioneer Press, they knew he had been quoted at length and coherently on the problems Kyle Gibson had in the Monday game. Concussion symptoms don't necessarily emerge immediately after the blow. It's quite possible Mauer believed he was fine until he started making the quick movements involved in playing first base during Tuesday's batting practice. And he until he reported his ill effects, how were Gardenhire and the trainers to know? Also adding to the medical mysteries: pitcher Sam Deduno and outfielder Oswaldo Arcia. Deduno, who has been ineffective his last three starts, now concedes that his shoulder is bothering him. He is apparently vague about it, and Gardenhire grumped to reporters that he's not convinced Deduno is being honest about his condition. Deduno is to throw a bullpen session today; I suspect that he won't convince the bosses that all is well, and the Twins will need to find a starter for Friday as well as for Saturday (Friday is Deduno's start, Saturday is the vacated spot left by Kyle Gibson's demotion). Arcia apparently jammed his wrist diving for a ball during the weekend but has been afraid to seek treatment for it. He was held out of Tuesday's game. With both Mauer and Arcia out of action, the Twins had just Doug Bernier available off the bench. Chris Colabello is on his way back to take Mauer's roster spot, so that should help the depth issues a little. Miguel Sano during spring training. Fox Sports North didn't have the same luck with their RockCats broadcast Monday as they did with their Kernels broadcast earlier in the season. The game they did from Cedar Rapids, Byron Buxton starred. The phenom had two outstanding catches in center field and turned what would have been a single to right-center for most hitters into a triple. Buxton was the attraction, the reason FSN did the game. Those of us who watched saw Buxton's abilities and his promise. Had the same thing happened Monday, Miguel Sano — the focal point of the broadcast — would have launched a couple of rockets and we'd all be marveling today at his raw power. And there would be an increase in the volume of the demands that Sano be called up next month. Didn't happen. Sano did make a nice defensive play on a slow roller. But he took an 0-for-4 at the plate and struck out twice. Off this one game, you'd never know he's as highly regarded a prospect as he is. Danny Santana did impress. He drew a walk in his first plate appearance — a bit of a rarity for him — was hit by a pitch in his second time up, and followed with a single, a triple and a strikeout. It adds up to 2-for-3 with two runs scored and four times on base, which is the primary job of a leadoff hitter. He also looked good in the field. Eddie Rosario had a two-run double and a sac fly that drove the left fielder to the wall. He also made a poor defensive decision at second base as the game got away from the RockCats late. None of this establishes anything specific about any of them. It doesn't mean Sano's a bum or that Santana's great. It's just one game in Double A.
Kyle Gibson got 11 outs Monday and gave up 10 hits. Kyle Gibson got shelled in the major league game Monday afternoon and was immediately optioned out to Rochester. No corresponding move was immediately made, and Ron Gardenhire implied that the brass was going to take its time deciding how to fill the roster spot. Gibson had a rough time of it in his first 10 major league starts. This doesn't really surprise me: He had already worked about 100 innings, about twice his 2012 workload, when the Twins finally brought him up from Rochester. He'd hit the wall in his post-surgical rehab and was trying to climb that wall without success. We're seeing much the same thing with Mike Pelfrey. He had a brief run in June and July in which he seemed much better, and now he's receding. 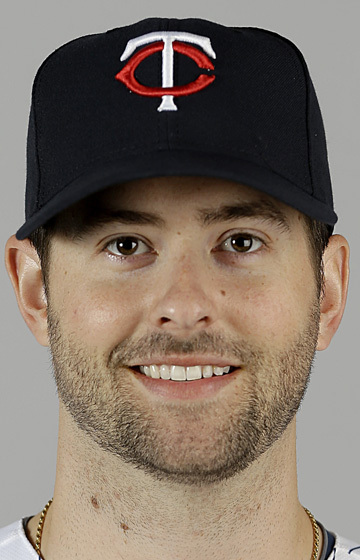 Pelfrey's a free agent to be, and who knows if he'll be back next season. Gibson still has a place in the organization's plans. I don't now if they'll shut Gibson down now, or if they'll let him try to add innings for another couple of weeks. I certainly don't expect him to be returned to the roster in September. As noted in the Monday print column, tonight Fox Sports North will air an Eastern League game featuring the Twins' Double A affiliate, the New Britain RockCats. While the main attraction on the RockCats — who have the worst record of the Twins farm teams at 59-68 — is obviously Miguel Sano, there are some other players worth studying for their potential future impact on the major league roster. Second baseman Eddie Rosario, 21, is very likely to be listed this winter among the organization's top five prospects and quite possibly in the top 100 overall prospect lists. He has essentially moved in lockstep with Sano through the farm system — they dominated the Appy League together, spent last year in Beloit together (interrupted by a rookie league rehab stint for Rosario as he recovered from a fractured facial bone), and were moved up from Fort Myers on the same day. Rosario, drafted as an outfielder, is in his second season in the infield. The scouts have always liked his ability to hit, but there have been doubts that his power would maintain as he moved up the ladder, which is one reason the Twins sought to make him a second baseman. While his Double-A numbers have been compiled in fewer than 250 plate appearances, his slugging percentage in New Britain has indeed been markedly lower than in Fort Myers. A month ago I thought it likely that Rosario would be playing second base in Minnesota by midseason next year. The emergence of Brian Dozier, coupled with the dropoff in Rosario's performance at Double A, makes that kind of fast-track rise a bit less likely. There are a lot of ways this can go — trade one of the second basemen, return Rosario to the outfield, try Dozier at short again — but there's no real urgency to make a decision. Shortstop Danny Santana, 22, is going to be prominent on the offseason prospect lists as well. While I haven't seen him at all (I did see Rosario a little in the Midwest League last year) and am thus at risk of "scouting the stat sheet," I'm skeptical on Santana. The batting average is fine (hitting over .290), but the walk/strikeout ratios continue to be unimpressive and the defense remains sloppy (31 errors and counting). The Twins have historically not done well at developing shortstops, and while Santana has the physical tools to play there in the majors, the qualities he should be developing have yet to show up in the numbers. New Britain's pitching staff has been in flux much of the summer, and bears a good bit of the blame for the poor record. It's not obvious who's getting the start today for the RockCats. My guess is B.J. Hermsen, who made the 40-man roster last winter after a good 2012 with the RockCats but has not had a good year by any means (1-9, 5.53). He may well lose his 40-man roster spot this winter. 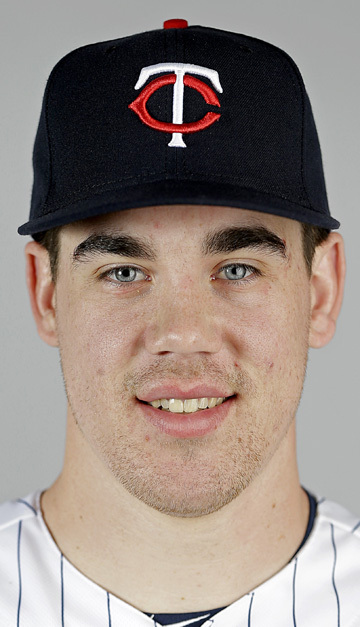 Excluding the injured Alex Meyer, the top pitching prospect on the RockCats is probably Trevor May, acquired from the Phillies in the Ben Revere trade last winter. May has been the one mainstay in the rotation; he's repeating the Eastern League and is basically putting up the same numbers. Command and control are his issues. He pitched Thursday, so he's not going tonight. fired Friday as the Phillies manager. There aren't a lot of people in baseball who were already there when I became a fan in 1969. I use the past tense because right now he isn't in the game, having been fired Friday as manager of the Philadelphia Phillies. Manuel was a reserve outfielder on the 1969 Twins, the team of Harmon Killebrew and Billy Martin and Tony Oliva that caught my attention. He hung around the roster a few years, never getting a real shot at a regular job even though we fans were regularly assured by the broadcasters that Manuel could hit. Maybe he could. Maybe his defense was why Martin and Bill Rigney and Frank Quilici, and, after he went to the Dodgers, Walter Alston, never saw fit to stick him in the lineup and let him play. 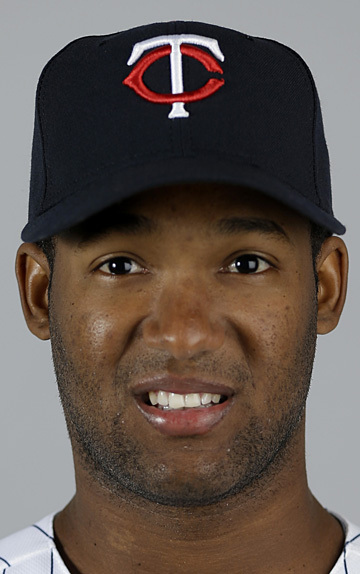 In the playing time Manuel did get in the majors, he didn't hit. Manuel played for years in Japan. He managed in the minors — he skippered the Twins Triple A team in 1987, a lousy Portland team that featured two other future division-winning managers in Ron Gardenhire and Ron Washington, plus a notable future general manager in Billy Beane. Manuel was the hitting coach in Cleveland when the Indians came up with that marvelous lineup in the 1990s — so loaded that Manny Ramirez and Jim Thome were in the bottom half. Then Manuel followed Mike Hargrove as skipper of that team and won a division title of his own, then he quit when the Tribe started rebuilding, then he took the Phillies job. Now the Phillies are at a crossroads. The core of what was a great team is old. The farm system is dry. The win-now days are past, and the team needs what figures to be a painful rebuild, painful because the roster is riddled with bloated contracts that won't be easily moved, and because the big bosses don't seem convinced that the rebuild is needed. 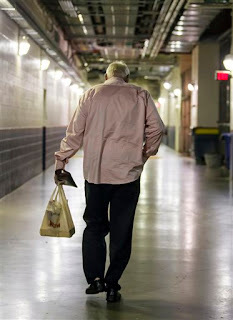 And Charlie Manuel is 69 years old. The bosses let him get to 1,000 career wins — 1,000-827 is his career won-lost mark — and then they cut him loose. The Phillies will go with Ryne Sandberg now, and he's an interesting choice — a Hall of Fame player who accepted the grind of managing in the minors and paid a separate set of dues to get a big league dugout job. Great players who become managers, as a rule, don't do that. Sandberg did, and good luck to him. He'll need it. Manuel is leaving a high standard for him to aim for. That Ryan Doumit would return to the active roster as soon as cleared to come off the concussion list was never in doubt. That it was Chris Colabello who lost his spot was a bit of a surprise. Colabello's overall numbers in his 96 plate appearances with the Twins aren't that impressive: a slash line of .221/.302/.372. But he'd gotten rolling of late; since Aug. 6, in a span of eight games and 25 official at-bats, he had hit .360/.500.640. And, probably not coincidentally, he had drawn seven walks while fanning just six times, a drastic improvement (in his whole 96 PAs, he has nine walks and 27 strikeouts, an ugly ratio). So why did he get bounced back to Triple A? Let's examine the options. Doug Bernier is the only infielder on the bench. He wasn't seriously at risk. Chris Herrmann -- like Doumit a catcher-outfielder -- seemed a likely candidate. But the Twins obviously like him as a defensive catcher, and particularly as the battery mate to Andrew Albers, who has yet to allow a run or to throw a pitch to anybody other than Herrmann. Wilkin Ramirez -- like Colabello a right-handed hitter -- is out of options. Sending him down would require exposing him to waivers and clearing him off the 40-man roster, and with only a couple of weeks to go before the active roster is expanded, that's something the front office didn't want to do. I think the Twins overrate Ramirez as a defensive outfielder, but there's no real doubt that he's a better defensive outfielder than Colabello or Doumit (but probably not better than Herrmann.) Colabello is almost certainly the better hitter. Colabello will be back in September when the roster limit is raised. He would probably have stuck now except for the roster flexibility factor. Still, this decision, minor as it is, defies my rule of the priorities: 2013 matters less than 2014 and beyond. I can envision Colabello playing a significant role (as a first baseman or designated hitter) in future years, and the Twins would do well to find out more about him. Taking two weeks out of that opportunity may not materially affect the evaluation, but it doesn't help. will make blown calls go away. The announcement Thursday of MLB's plan for enhanced replay review of all calls other than balls and strikes — a plan that hinges on managerial challenges — was greeted with predictable criticism. That the criticism is predictable doesn't lessen its validity. And valid criticism isn't necessarily reason to junk a proposal or an existing system. The current umpires aren't perfect — but I am certain that the quality and consistency of umpiring is much better now than it was 40 years ago. Better isn't perfect, however, and we cling to the illusion that perfection is attainable. It isn't, not by mere human beings, and not by systems designed by human beings. The plan put before the public Thursday (which requires the agreement of both the players union and the umpires union) isn't going to solve the "problem" of missed calls changing the outcome of games, and it is an invitation to abuse by managers. Point One: Games are decided in the early innings as often as they are late, no matter that we tend to buy into the narrative of late-inning drama, so why limit the challenges early in games and open the spigot late? Point Two: As I said here some time ago: Managers are not interested in getting the call right. They are interested in getting the call to go their way. Putting them in charge of triggering the system to get the calls right is a blunder. They are, by definition, not interested in the goal. Managers will use replay challenges frivolously — to gain time to warm up a relief pitcher or to break the opposition pitcher's rhythm. To be fair, the booth-oriented proposal — championed by Craig Calcaterra, author of the first link above, and others — is flawed as well. That idea calls for a fifth umpire off the field with access to replays who would alert the field crew to incorrect calls. The problem with that idea is obvious to anybody who really pays attention to telecasts: The definitive replay is almost never the first one shown. As low as my regard for the various permutations of Fox Sports and ESPN are — and that regard sinks lower on a regular basis — I doubt that's the result of incompetence. I think it's technological. The first replay is always the game replay, because that's the one the producer can access instantly. The shot that is focused on the right base at just the right angle — that takes some time to dig up. So then what happens? The game stops dead every time anybody thinks a call might possibly be overturned. Nobody can make the umpires perfect. And nobody can dream up a perfect review system. The best we can do is chose the flaws we live with. average AL first baseman: .257/.330/.442. Justin Morneau reportedly cleared waivers Wednesday. That clears the way for the Twins to trade their longtime first baseman and 2006 MVP to anybody the rest of the season. That's the theory, at any rate. The reality is that the other 29 major league teams each effectively declared that they're not interested in picking up the $3.4 million or so remaining on his contract. Any trade involving Morneau will require the Twins to pay some, if not all, of his salary the rest of the way. And the reports at the non-waiver deadline two weeks ago held that the Twins weren't willing to do that. My guess — purely a guess, without any inside info — is that there will be no Morneau trade, that he will finish out the season with the Twins. Another, semi-related question concerns future seasons. No matter who Morneau finishes the 2013 season with, he's a free agent this winter. Will the Twins want to bring him back? If so, at what price, and is it a price he's willing to accept? His passage through waivers suggests that he's headed for a steep pay cut in 2014, no matter who he signs with. I do believe this: If he does return, the Twins should be upfront with him about a reduced role in the lineup. Oswaldo Arcia is already making an impact in the major league lineup; at some point in 2014 Miguel Sano will be also, and possibly Byron Buxton and Eddie Rosario as well. Those men, along with Joe Mauer, will be the muscle of the Minnesota lineup very soon. Morneau is used to hitting 3-4-5. He doesn't really belong there anymore. If he's kept around as the new wave comes, he will need to accept that he will, sooner or later, be in the bottom half of the lineup. If he lets that bruise his ego, the Twins would do better to let him leave. So I was wrong on the return the Twins got when they traded Drew Butera to the Dodgers. There's a minor lesson in that for me (namely, that I have believed for years that Butera was more valued around the majors than his Internet critics believed, and I should have stuck with that belief when initially commenting on the deal). Miguel Sulbaran is a legitimate prospect. He's not a great prospect -- I don't think he'll be cracking any top 20 prospect lists this winter -- but he's a left-handed pitcher, age 19, having a good season in low A ball. That's a decent return for a weak-hitting defensive specialist catcher who was unlikely to remain on Twins 40-man roster this offseason. The drawback on Sulbaran is his size, or lack of it. He's listed at 5-foot-10, 185, and that's small for a pitcher. Sulbaran now changes teams in the Midwest League, going from the Dodgers affiliate in Midland, Mich. (Great Lakes Loons) to Cedar Rapids. No guarantees on Sulbaran, obviously. He's young, he's small, and he's a long way from the majors. But there's stuff there to like. Whether he makes it to the majors or not, this was a good trade for the Twins. Seventeen and a third shutout innings in two starts is certainly an auspicious start to Andrew Albers' major league career. It would be impressive if it came from a hurler with dominating stuff, much less one with Albers' mediocre velocity. We ought not, obviously, expect him to maintain a 0.00 ERA for long. Nobody's that good. But Albers has carved up minor-league hitters on every level with his mid-80s fastball, and there is precedent for lefties with his skill set to have sustained success. (See Mark Buehrle, Jamie Moyer, and the second half of Frank Tanana's career.) There are also plenty of examples of pitchers with his stuff who didn't make it. What the guys who succeeded did — and what Albers has done in the minors but which hasn't shown yet in the majors — is strike hitters out at at least something approximating league-average rates. Albers has just four strikeouts in his 17.1 major league innings, but his minor league K rate overall was 7.7 per nine innings, and it was pretty consistent on every level. He'll need to find some of that bat-missing magic in the majors if he is to establish that these first two starts were more than a mirage. 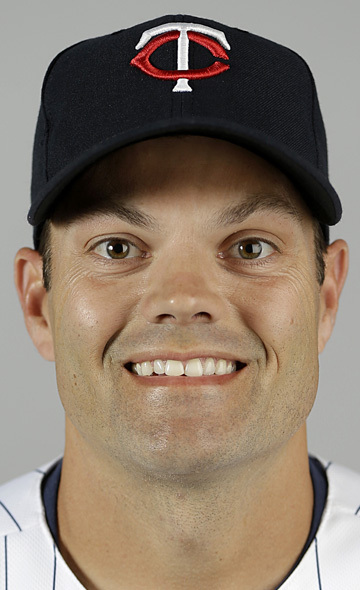 The Twins did themselves and Jamey Carroll a favor Sunday by sending him to Kansas City in a waiver-wire deal. Carroll benefits by landing on a team that has legitimate playoff hopes. I don't think the Royals are going to make the playoffs, but they're in the running. Miguel Tejada, who rather surprisingly has emerged as the second baseman in K.C., just went on the disabled list, and the Royals obviously didn't care for the second basemen they were using before they got Tejada. So Carroll is likely to get some serious playing time for a couple of weeks at least. The Twins are to get a player to be named or cash. If it's a player, it's likely to be a nonprospect. The benefit isn't so much who the Twins get as opening a roster spot, and a bit of playing time, for somebody already in the organization. 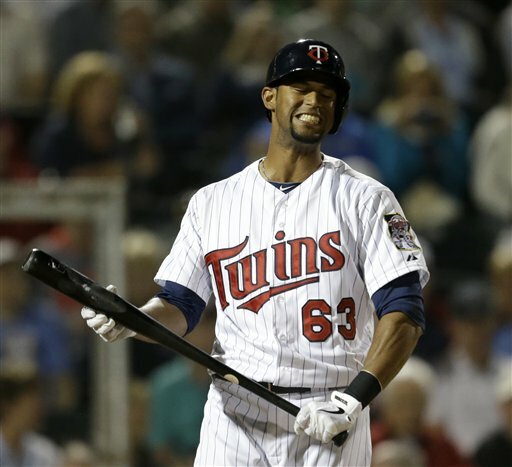 Carroll is 39, and he hasn't played a significant role on the field for the Twins. He wasn't likely to be back in 2014 regardless of where he finishes this season. The Twins will merely move into their no-Carroll future a few weeks early. And maybe a few days before they were truly ready. It's unclear how the Twins will use the vacated roster space. They could bring back Eduardo Escobar and replace a utility infielder with a utility infielder, although they might do well to get a legitimate outfielder on the roster. At some point — and that point may not be here yet — some guys are going to start coming off the disabled list. Ryan Doumit, on the concussion DL, is to be examined today; the thought appears to be that he might be cleared to come off the disabled list when his seven day minimum stay is up Thursday. Darin Mastroianni, on the shelf since early April, is on a rehab assignment. So is Wilkin Ramirez. The Twins used Doumit's spot to bring back Willingham. They can't — yet — use Carroll's to bring back Doumit; he can't return until Thursday. I'm not sure Mastroianni or Ramirez are ready yet. This photo by midweek took on some different implications. It wasn't until Wednesday that Doumit revealed that he had sustained a concussion on Sunday. He'd had a bad flight to Kansas City — flying and concussions don't mix well — but played Monday and was in the lineup Wednesday before conceding that he was too woozy to be effective. He's now on the seven-day concussion DL, which hardly means he'll be back in a week. Doumit says he's had "many, many" concussions from foul tips; that's almost certainly true for Joe Mauer or pretty much any veteran backstop. Catching is rough duty. The Twins this week reached down to Triple A for a pair of starters, both of whom fared well. 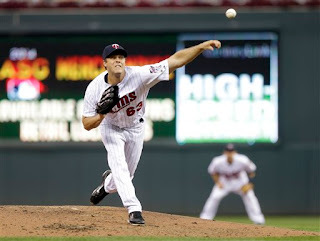 Andrew Albers replaced Scott Diamond in the rotation and made an immediate splash with 8.1 shutout innings against Kansas City on Tuesday. Albers' performance was all the more impressive considering how poorly Kevin Correia and Samuel Deduno fared in the other games of the series. Albers drew some immediate comparisons to Diamond — left-handed, mediocre velocity, from Canada — but the guy who came to mind for me was Mark Buehrle, the long-time White Sox mainstay now with Toronto, also a lefty without an imposing fastball. Buehrle is notorious for a rapid pace to his pitching, and Albers certainly followed that pattern. In a Twins season marked by excruciatingly long games and pitchers reluctant to make their next pitch -- Mike Pelfrey is not the only one -- it was a refreshing sight. If what Buehrle does were that simple, more pitchers would be doing it. Albers will certainly get several more opportunities. one of his better major-league starts. One thing in Albers' favor on Tuesday that won't be replicated in his next start: The Royals almost certainly had a minimal scouting report on him. Not only was it Albers' major league debut, but the Royals and Twins farm systems are remarkably separate. Their Triple A teams are in different leagues, their Double-A teams are in different leagues, their high A teams are in different leagues. In this case, ignorance was not bliss. Liam Hendriks' stint was one-and-done; he was called up strictly to make the start in Game Two of Friday's double header and was shipped back to Rochester immediately the Twins's 3-2 extra inning victory. Hendriks may well be back in September, and there were some positive signs from him against the White Sox Friday, most notably a lack of the nibbling at the edges of the strike zone when ahead in the count. Still, the Aussie's stock can't be high in the organization. He's having a far worse season in Triple A this year compared to last (9-3, 2.20 in 2012, 3-8, 5.12 this year), and the rationale offered by assistant general manager Rob Antony for picking Hendriks for Friday's game was We didn't have many options. dugout after his home run Monday. Max Kepler (22) is about to get in the box. As I've mentioned at least once, Terry Ryan, the Twins general manager, attended the Quad Cities series. Here, via the Cedar Rapids Gazette, is what he had to say about some of the Twins prospects. Adam Brett Walker II hit his 24th homer of the season in the ninth inning Monday -- too little, too late to be a factor in the game, which the Kernels lost 6-2. Walker was the Twins third-round pick in the 2012 draft, a big (listed at 6-foot-4, 215 pounds) right-handed right fielder who grew up in Milwaukee and went to college in Florida. He has legitimate power and runs well enough to be eight-for-eight in steal attempts. Keith Law of ESPN has been asked about ABW2 repeatedly in his chats, and always gives the same response: He's old for the league, the Twins shouldn't be sending college players to the Midwest League, this isn't proving anything. Beyond that, I'm wary of Walker's walk/strikeout ratio, almost 4 K's for every BB. The .282 batting average is nice, the .548 slugging percentage is very good (especially for the Midwest League), but the on-base percentage is unimpressive. This was also true for Walker in the Appy League last summer. over an interference call Sunday. 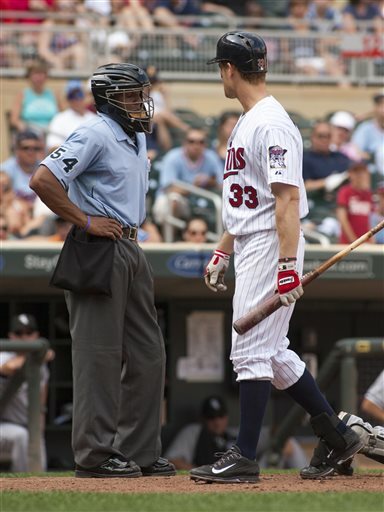 Jake Mauer — older brother of Joe and the Cedar Rapids manager — was thrown out of Sunday's game after Travis Harrison was called out for interfering with the catcher on a Walker steal attempt. It wasn't until the next inning, when Tommy Watkins emerged from the dugout to coach at third base, that I realized Mauer had been tossed. True to his Mauerness, Jake even got ejected in a low key manner. Baseball America's annual Tools issue has Jake Mauer voted as the Midwest League's best managerial prospect. I suspect he'll someday emerge onto the major league staff, although Jim Crikket is probably right that it won't happen while Joe is the centerpiece of the roster. Still, it seems pretty well-established that the elder Mauer is not merely a nepotism hire. A food discovery at Veterans Memorial Stadium I'll be sure to repeat in future visits: The fried popcorn shrimp. Yum. It may not be traditional ballpark fare, but I like. When I went to a game in May, Niko Goodrum played first base and Jorge Polanco was the shortstop. At these two games, they were at their more accustomed positions, shortstop for Goodrum, second base for Polanco. They looked pretty good there. Second base is almost certainly a better fit for Polanco's arm than shortstop. Goodrum — listed as 6-feet-4 himself — faces the same "is he too big for shortstop" question that I mentioned in the Correa post. Polanco continues to keep his batting average above .300 and remains in the middle of the Kernels lineup. Goodrum's slumped of late — his average had fallen below .250 while I was in CR — and while it seems obvious that Polanco will move up to High A next year, I wonder if Goodrum might not wind up repeating Low A.
Carlos Correa awaits a pitch Monday. There were, of course, two teams involved in the games I watched, and the visitors, the Quad Cities River Bandits, are also laden with prime talent. Indeed, they had the No. 1 overall picks from the last two drafts in shortstop Carlos Correa (2012) and pitcher Mark Appel (2013). 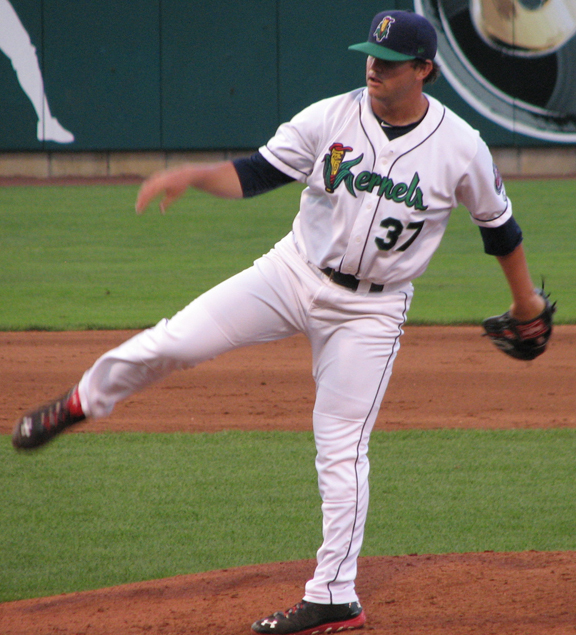 Appel pitched on Tuesday, the day after our two games, and dominated the Kernels -- as he probably should. I'm not sure what the point is of sending him to low A. Anyway, I didn't see him. Correa I saw. The Kernels probably figure they saw too much of him. 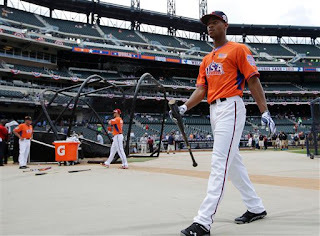 The Houston Astros took Correa over Byron Buxton in the 2012 draft, and while the general consensus held Buxton to be the superior talent, there were those who preferred Correa. And Correa signed more cheaply than Buxton did, which gave the Astros the budgetary wriggle room to draft and sign a pair of difficult signees. With Buxton now widely considered the top prospect in the minors, Jim Callis of Baseball America has said the Astros outsmarted themselves, that they'd have been better off taking Buxton. But it's way too early to be sure of that; neither player has advanced out of A ball yet. Correa appeared comfortable and in control at shortstop. The most interesting play he made came Monday, when Cedar Rapids catcher Michael Quesada hit a grounder to Correa's right. Correa backhanded it and made a strong throw to first to nail Quesada by plenty. Correa is certainly an excellent prospect. How good depends on whether he remains a shortstop. He's listed at 6-foot-4, 190 pounds; there are scouts who believe he's going to outgrow the position and wind up at third base. I'm not so sure about that; Derek Jeter, Alex Rodriguez and Cal Ripken have demonstrated that big guys can play shortstop. Certainly it will be easier to justify passing on Buxton if Correa remains in the middle of the diamond. in Cedar Rapids. Joel Licon (2) is the third baseman. The 2011 draft was (is) regarded as one of the deeper fields in recent years, and several draftees have already reached the majors (with more on the cusp), but the Twins' early picks -- a first round pick, two supplemental round picks and a second round pick -- are all still in A ball. Three of them are on the Cedar Rapids team now: Third baseman Travis Harrison and right-handed pitchers Hudson Boyd and Madison Boer. I wrote a bit about Harrison in May; on this visit, Harrison DH'd in one game and sat out the second, and since the big question about Harrison is his defense, I have nothing to add to what I said then. Boyd and Boer each pitched in relief -- Boer on Sunday (one inning, allowing two hits and a run; he got the win when the Kernels scored twice in the bottom of the ninth) and Boyd on Monday (two shutout innings). It was my first look at each. Of the two, Boer's the one whose presence in low A is most concerning. He was drafted out of a major college program, and he has a 6.88 ERA in more than 120 innings with Fort Myers (high A). At 23, he's old for the Midwest League. He missed a sizable part of this season with a broken hand and has worked just 30.2 innings this year. His outing Sunday not withstanding, he's put up a good 1.59 ERA with Cedar Rapids, albeit in just 17 innings, all in relief. during his two-inning outing on Monday. It's worth noting that (a) when he was drafted, there was talk that he was destined for relief work and (b) his bad numbers with Fort Myers the past two seasons were largely compiled as a starting pitcher. I doubt the Twins used a second-round pick on the Minnesota native with a relief role in mind, but that's the way it's looking. The same may be true of Boyd, three years younger and presumably less developed than Boer but a higher pick nevertheless. Boyd has split his time in CR between the rotation and the bullpen. His numbers are decidedly unimpressive: 5.48 ERA with more hits than innings, a high walk rate and a subpar strikeout rate. And yet he looked good Sunday, showing a fastball in the low to mid 90s. He did walk one man, but that was Carlos Correa and appeared to be a semi-intentional walk. 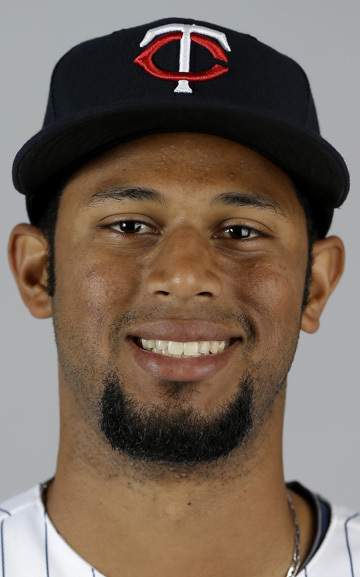 As a starter, Boyd has a 6.75 ERA (64 innings); as a reliever, he has a 1.69 ERA (21 innings). Again, one presumes the Twins wanted a starter when they invested in Boyd. They may try longer with him to find a starter in the talent than they will with Boer, if only because Boyd is younger. When prospect watchers ranked the players in the Twins farm system last winter, Max Kepler was a consensus No. 10 -- one of many young, athletic outfielders in the system, albeit one with a fascinating back story (born and raised in Germany the son of two ballet dancers, one American, one Polish). He showed up this spring with a wonky elbow, however, and he spent the first half of the season in extended spring training. He was cleared to play and assigned to Cedar Rapids about a week before Byron Buxton was moved up the ladder to Fort Myers. Jim Crikket, the Knuckleballs blogger who is a regular at Kernels games, tells me that Kepler has been decidedly unimpressive as an outfielder. He's had bad breaks on balls, run poor routes, and his throwing has been so weak that Crikket suspects the elbow is still a problem. Kepler played first base in the two games I've seen, and that may be his ultimate position. To play first, of course, he's got to hit. He was hitless both Sunday and Monday, but he hit at least three balls hard. He also faced two left-handed starters, and the left-handed Kepler hasn't a lot of experience against anybody, much less southpaws. Crikket says Kepler's numbers against lefties are poor, and off the at-bats I saw, I'll believe him. Kepler has obvious athletic ability and showed good range at first, but he also committed an error Monday born of inexperience. He broke for a grounder the second baseman handled and then had trouble finding the base. I thought he still got the out, but the umpire ruled that he missed the bag. Whether the call was right or not, Kepler made it easy for the ump to rule against him. The misplay cost the Kernels a run. Kepler's 0-fer Monday knocked his batting average under .250, and I rather expect at this point that he'll repeat the Midwest League next season. That's not ideal, especially since he repeated Elizabethton as well, but he always figured to be a late developer, considering how little baseball he got to play as a kid in Berlin. his grip to be a change-up. We got to see Jose (or J.O.) Berrios, generally regarded as one of the Twins' top pitching prospects, on Sunday. Berrios turned 19 in May; he was taken in the supplemental round in the 2012 draft and utterly dominated the rookie leagues in the 30 or so innings he got to pitch. He was effective enough in winter ball that he was selected to pitch for Puerto Rico in the World Baseball Classic, although his innings were limited. Things have been a bit more difficult for him in the Midwest League. Not that he has pitched poorly, but he's been challenged. On Sunday, Berrios worked six innings of one-run ball. That sounds better than it was; he allowed five hits (all singles), walked five, committed an error on a pickoff throw, and got just three strikeouts. Pitching coach Gary Lucas had to visit him in the first and fourth innings. Berrios was in and out of jams in the first four innings, including two with the bases loaded, and didn't have a 1-2-3 inning until his final frame. He didn't record a strikeout until the fifth. What I saw: Fastball in the low 90s, a breaking ball (I assume a slider) in the mid 80s, and a change in the mid 70s. (Those velocities come off the stadium scoreboard, and Cedar Rapids regular Jim Crikket tells me it's a slow gun). Berrios' command Sunday was inconsistent, obviously. But the opponent -- a good Quad Cities (Astros) team featuring Carlos Correa, who is probably the best player in the Midwest League now that Bryon Buxton is in Fort Myers -- really didn't square up many balls. Several of the hits were grounders that found a hole. Berrios got 18 outs; only four were outfield flies. He threw two double play balls, and got 10 outs on grounders. Berrios is, by the standards of pitching prospects, short (6 feet); he is "non-projectable", a scouting term that means that physically, he's as good as he's going to get. What I saw suggested that he has the arm and the moxie to pitch in the majors, but not the command to succeed. Which makes sense, since (Bert Blyleven notwithstanding),19-year-olds who are ready to succeed in the majors are exceedingly rare. infield at Target Field Friday night. Friday's bird-on-the-field during the Twins game reminded me of the "Kirby the Kestrel" sightings at Target Field in 2010. If that bird ever showed up again, I'm unaware of it. Maybe it's been repelled by the bad baseball being played by the home team since then. I may be overly stubborn about this, but I still believe in Scott Diamond. He may be a minor leaguer at the moment, but he remains MFT — My Favorite Twin. But it's quite obvious that even at his best — his best being 2012 — his margin of error is thin. In 2012, he was at the top of the league in avoiding walks, very close to it in ground ball rate. By being the best in the league at what he was good at, he could overcome his significant weakness in strikeouts. In 2013? He's a bit better than average in getting grounders, a bit higher than that in his walk rate. And his strikeout rate has gotten worse — he's fallen off to about half the league rate in strikeouts. He's exceedingly unlikely to ever approach league-average in strikeout rate, which I am becoming increasingly convinced is the most important figure in pitching. And that means league average or a little better in control and groundballs isn't going to cut it for Diamond. But the underlying point remains: For Diamond to be successful, he has to be the best at what he's good at. That's a high hill to climb, and a status difficult to maintain once achieved. Another non-competitive loss Thursday for the Twins resulted in two demotions: starter Scott Diamond and center fielder Aaron Hicks were shipped out to Triple A Rochester. Oswaldo Arcia was called up to take Hicks' spot; no move was immediately made to fill Diamond's rotation berth. The immediate speculation had Andrew Albers (like Diamond, a Canadian lefty) getting the call. I wonder if the delay might mean the Twins have a waiver-wire pickup pending; their sinking record has them in prime position to claim players. There's no way to argue that Diamond and Hicks deserved to stay in the majors. Neither has had a good season, and both were sliding. Starting rotation: Success here meant establishing Diamond and Vance Worley as 200-inning guys and getting Kyle Gibson settled into the major league rotation. Diamond and Worley regressed to Triple A, and Gibson's ERA is 6.21. The rise of Sam Deduno merely puts him in roughly the position Diamond was in at this point last season. Center field: Success here meant establishing Hicks by season's end. Obviously, he's anything but established. Leadoff hitter: Success here again meant Hicks. Ain't happening, at least not this year. 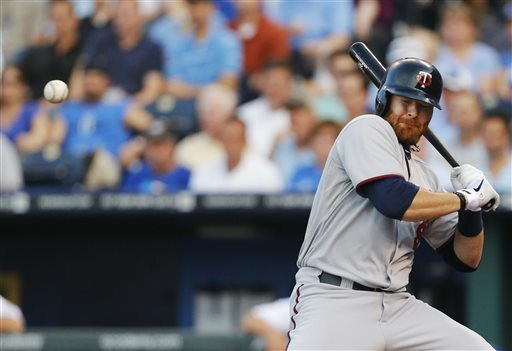 Establishing Trevor Plouffe and Chris Parmelee: Parmelee is in Triple A (the Star Tribune's Phil Miller noted on Twitter Thursday evening that the Opening Day outfield — Josh Willingham, Hicks and Parmelee — will be playing in Rochester this weekend). Plouffe is hitting .245/.303/.404, which isn't sufficient to carry his defense at third base.